Phuket is a great starting point to see many of the stunningly beautiful surrounding islands. 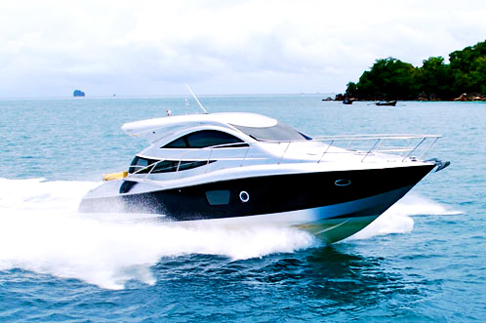 Although, you will need a boat to fully enjoy and experience the tropical paradise of Phuket. If you wish to relax on a deserted coconut lined beach or explore uninhabited islands and marvel at the beauty of majestic landscapes or intricate cliffs dropping into clear blue waters, We can offer a comprehensive range of options. Quality, refinement, luxury and top class service including: bare boats, crewed and luxury boats as well as join-ins, game fishing charters and high speed water taxi services. You can also charter sailing yachts, fishing boats and liveaboards. As well as a sailing crew, most of the boats are normally equipped with cooks who can prepare fantastic meals while you are at sea. Our Charters only work with fully insured and registered Yachts. The vessels are manned with full time, qualified and professional crews aided by experienced hostesses. We can tailor your trip to your needs, visit the islands you want to see and enjoy a wide range of activities to suit your requirements, snorkeling, scuba diving, kayaking, sea fishing or if you want to sit back relax and feel the peaceful open waters, your wish will be our command.